We got so much positive feedback on our drone footage, so eventually I decided to put a blog post together and share some of our favorite photos. To be honest, there were so many amazing ones, I try to limit this to our absolute best 10 shots. 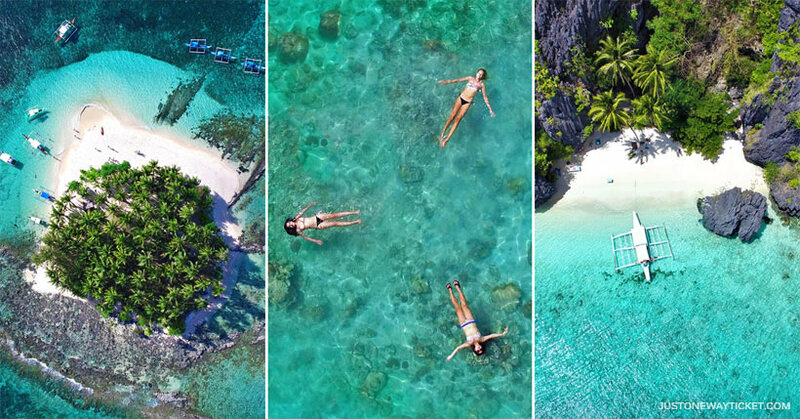 All these images were taken with a drone, the DJI Phantom 3. The Philippines from a bird’s eye perspective. 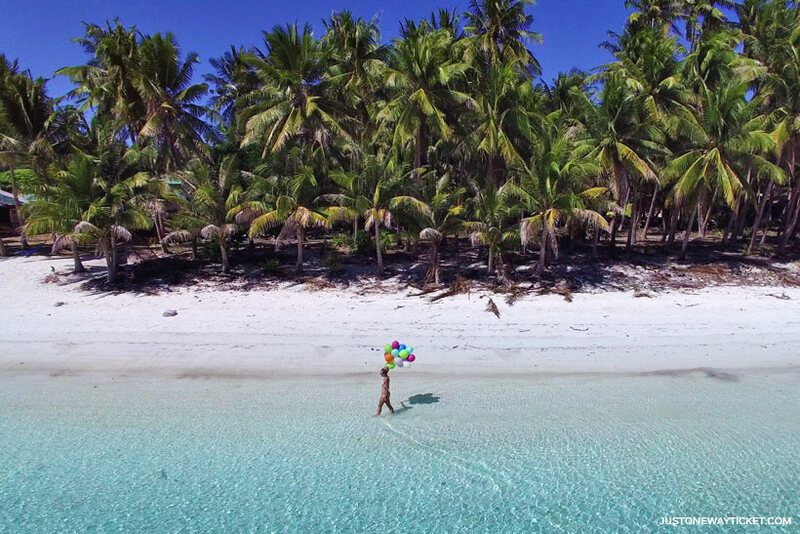 We created this footage to show people how stunningly beautiful the Philippines really are. The Philippines is a country, scattered over more than 7000 islands. You’re never far away from a beach. Let me show you some of the most surreal beaches and islands in the Philippines! And as a bonus, I will even tell you, where these places are 😉 Enjoy!! All credits go to my highly talented partner in crime, he’s the man behind the drone’s remote controllers and none of these shots were possible without him. Follow @MoveGK on Instagram, Youtube, and Facebook! 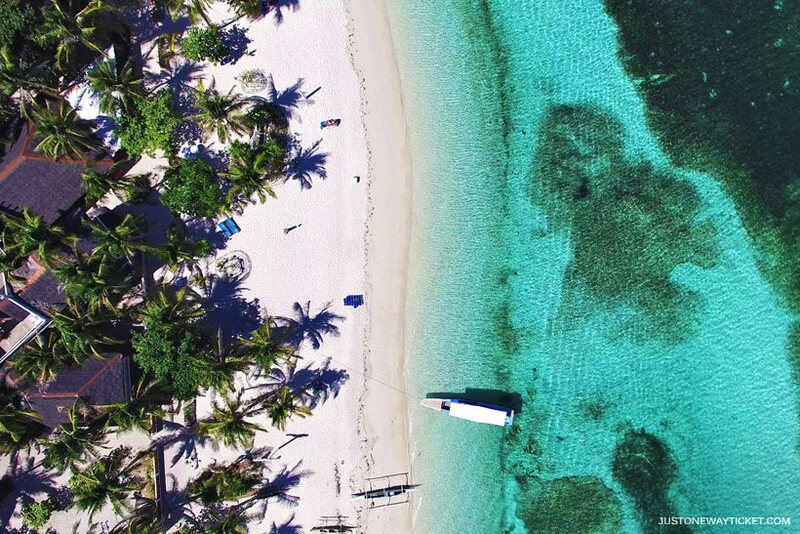 Malapascua is not only a popular spot for world-class diving, it also features some fantastic white beaches and will surely make non-divers happy, too. How to get there? Fly into Cebu, take a bus to Maya and from there a boat to Malapascua. The trip from Cebu City to Malapascua Island will take about 5 hours. Is it worth it? You bet. 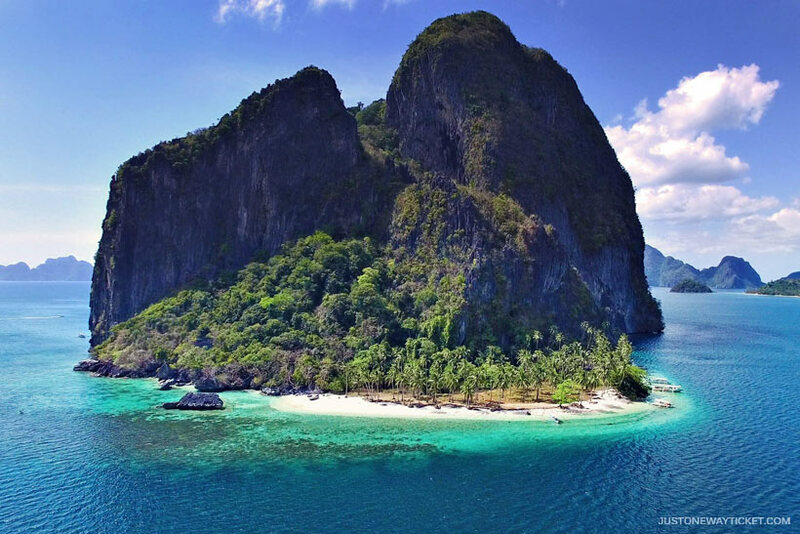 This spectacular beach is another paradise in the island maze of El Nido. 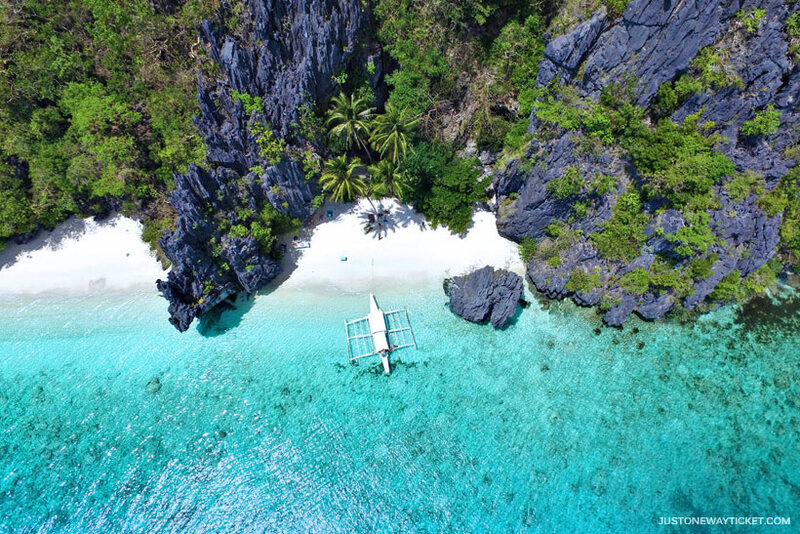 You can hire a boat from El Nido to bring you there. Alternatively, if you join one of the organized group tours in El Nido, some of them offer a stop at Entalula Island. More about El Nido and island hopping in my blog post about Palawan. 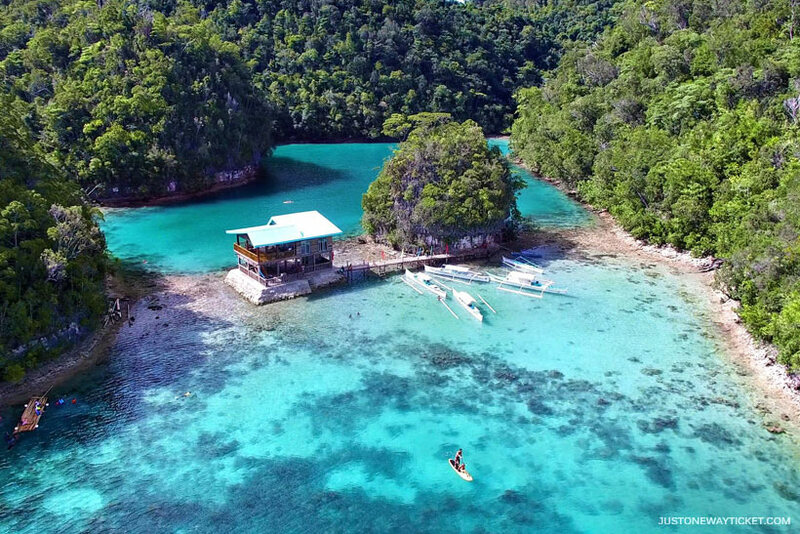 The majestic Sugba Lagoon is accessible from the town Carmen in Siargao. It takes about 45 minutes by boat to reach this marvelous place. The enchanting lagoon is surrounded by mangroves and bizarre rock formations. 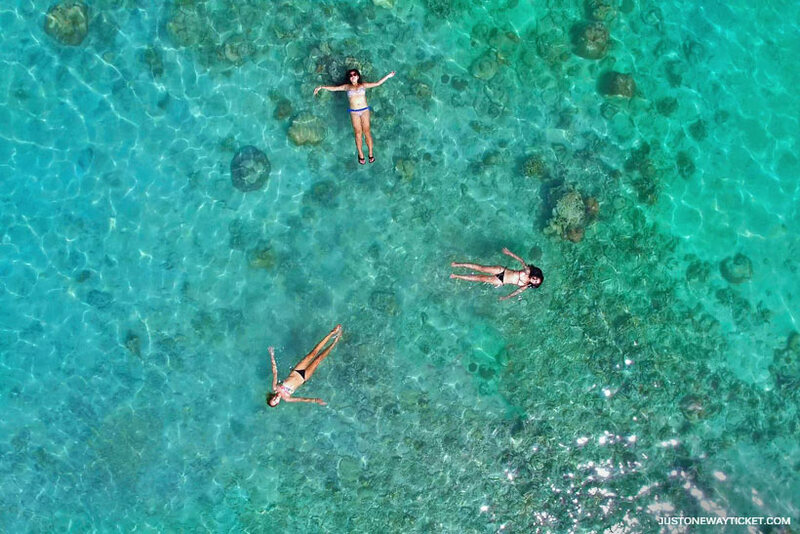 Once you dip into the clear blue waters, you will see plenty of stingless jellyfish! Bring your GoPro to capture this, it’s absolutely incredible (see this photo)! Bantayan was heavily damaged during typhoon Yolanda in 2013. I was thrilled to see that the island recovered well, and the surreal lagoon on the Southern side of the island looked prettier than ever. The calm blue-green waters invite for a swim, the long sand bar is a fabulous spot to watch the sunset, and families with children will love the shallow mini lagoon. 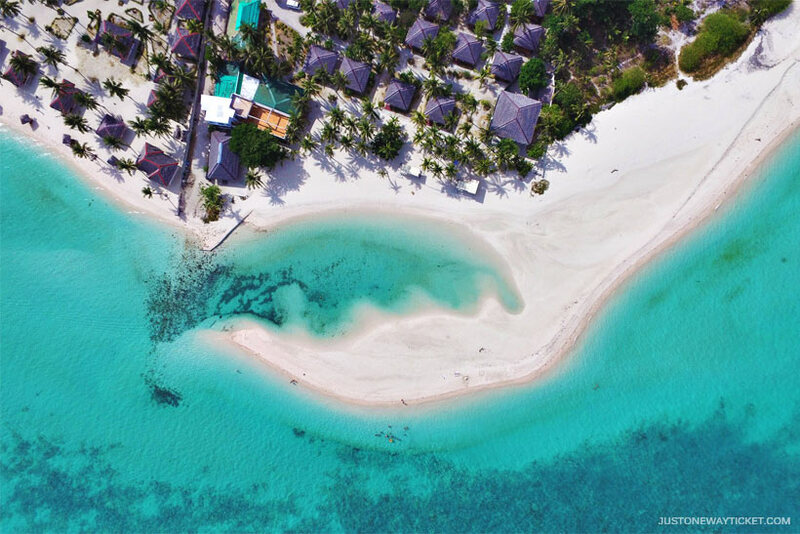 Bantayan is northwest of Cebu, it’s close to Malapascua and you can perfectly combine those two beautiful islands in a long weekend trip. Who would have thought that the sleepy village of General Luna in Siargao has such a gorgeous beach? 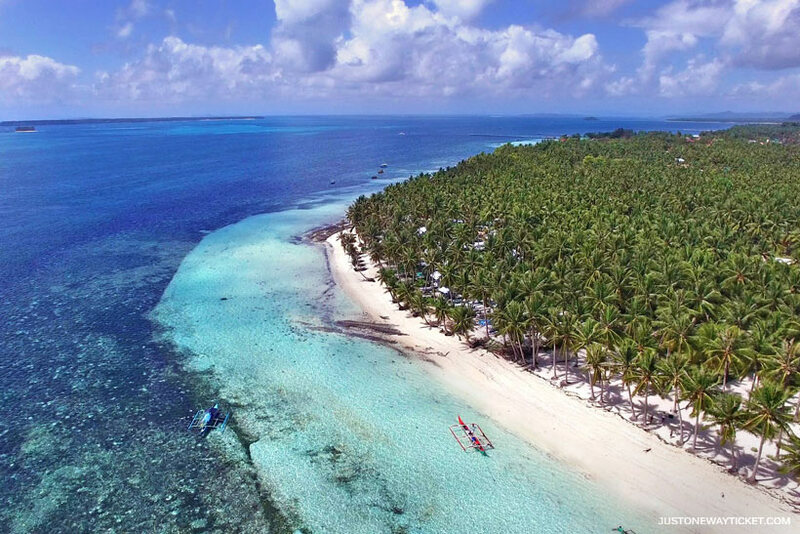 It’s dotted with countless of lush coconut trees. The mix of powder-white sand and turquoise waters makes this place to one of my favorite beaches in the Philippines. And the good news is, there are hardly any tourists seen on the beach. Siquijor is also known as the island of the witches. 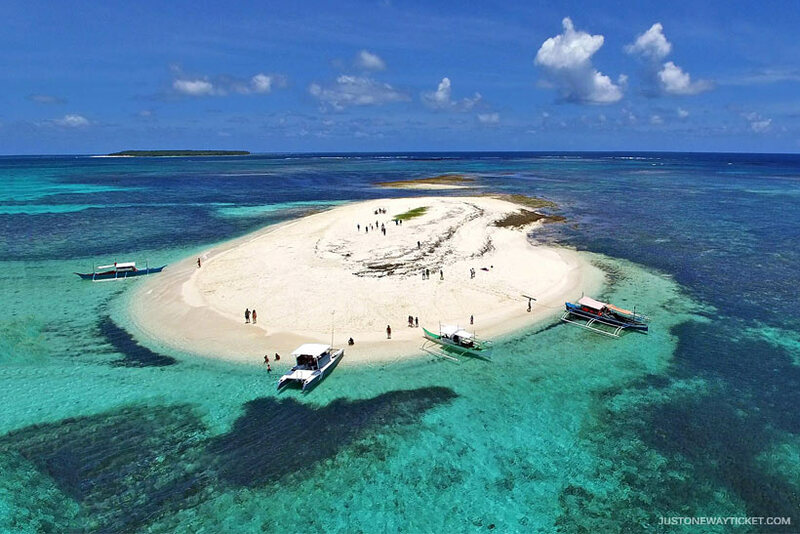 It’s one of the lesser visited islands near Cebu. Endless white beaches, excellent diving and swimming in waterfalls are some of the best things to do in Siquijor. The photo above was taken at San Juan Beach, on the southern coast of the island. How to get there? Several boats connect Cebu, Bohol and Dumaguete with Siquijor Island. Nope, no one is (getting) naked there. Naked Island got the name because it is just a plain sand bar, in the middle of the ocean. Although it’s stunningly beautiful with azure waters surrounding it. 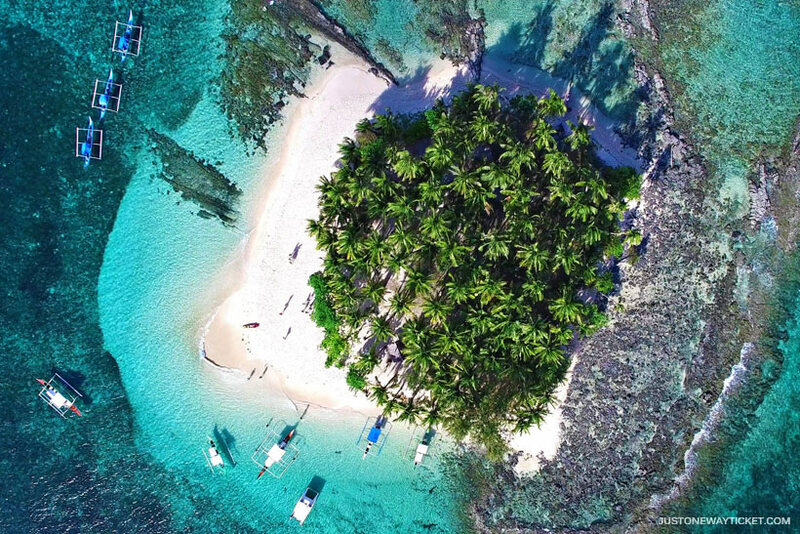 This pearl-white island is located just off the shore in Siargao, and can be visited during island hopping. Alternatively, just hire a local in General Luna (Siargao) to bring you there. Don’t forget some sunglasses and plenty of sun protection! This breathtaking gigantic rock is also known as the Survivor Island. For me this is one of the most picturesque islands in the archipelago of El Nido. The combination of dramatic limestones and a perfect white sandy beach makes this place extraordinary, from every perspective. Do yourself a favour and visit Pinagbuyutan Island in El Nido! Some tour operators offer a trip to the island, but you can also organize this yourself. Just head to Marimeg Beach and hire a local with a boat.